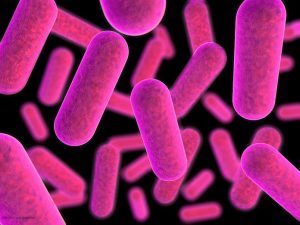 Contaminated tempeh starter culture linked to a Salmonella Paratyphi B outbreak that has sickened 88 people in North Carolina came from an exporter named Bambang Surprapto in Bekasi, Indonesia, an attorney familiar with the investigation told Food Poisoning Bulletin this morning. The exporter sold tempeh starter yeast, some of which was found to be tainted with Salmonella Paratyphi B, to clients all over the world including one in Rockville Md. which operated the websites IndonesianFoodMart.com and Tempeh Online. Tempeh manufacturer Smiling Hara of Asheville N.C. purchased the product from Tempeh Online. Dozens of people in Asheville became sick after eating Smiling Hara tempeh made with the tainted starter. Many more have now become sick through person-to-person transmission, according to public health authorities in North Carolina. April 27 Buncommbe County Health Department announced the outbreak. May 10 NC Department of Public Health announced that laboratory tests confirmed that an unopened bag of starter culture tested positive for the outbreak strain. May 17 NC Department of Agriculture food and drug division confirms that the name of the company that provided the tainted starter culture is Tempeh Online of Rockville, Md. May 23 Buncombe County Health Department confirms the outbreak has sickened 88 people. IndonesianFoodMart.com and Tempeh Online are both operated by the same person in Rockville, Md., who imported and resold starter culture which she purchased from an exporter named Bambang Surprapto in Bekasi, Indonesia, according to her attorney A.P. Pishevar, of Pishevar & Associates, in Rockville, Md. The same culture was distributed through both websites. Smiling Hara purchased the starter culture from Tempeh Online. The owner has discontinued operations of both websites and is cooperating fully with investigators, he said. The recalled products, “Tempeh Starter Yeast “and “Super Starter Yeast” were distributed nationwide and internationally to Australia, Canada, Slovenia, New Zealand, Brunei, Darussalam, Poland and Croatia. The Canadian Food Inspection Agency has also recalled the yeast. The product is sold in sealed, clear plastic packages that bear a small computer printed label in the following sizes: 30gm, 50gm, 250 gm, and 1000 gm. Anyone who has the product should discard it. Really, really good. I’m proud of all of you.